It’s day two of raglan week! 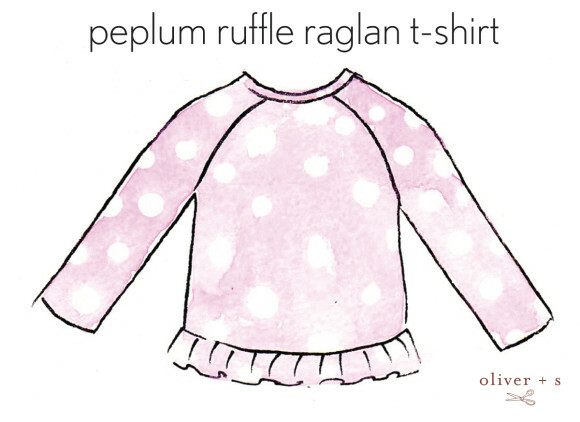 Here’s another easy alteration to make to the raglan T-shirt pattern: turn it into a sweet peplum top! The ruffle of a peplum can be short or long, but proportion is key. 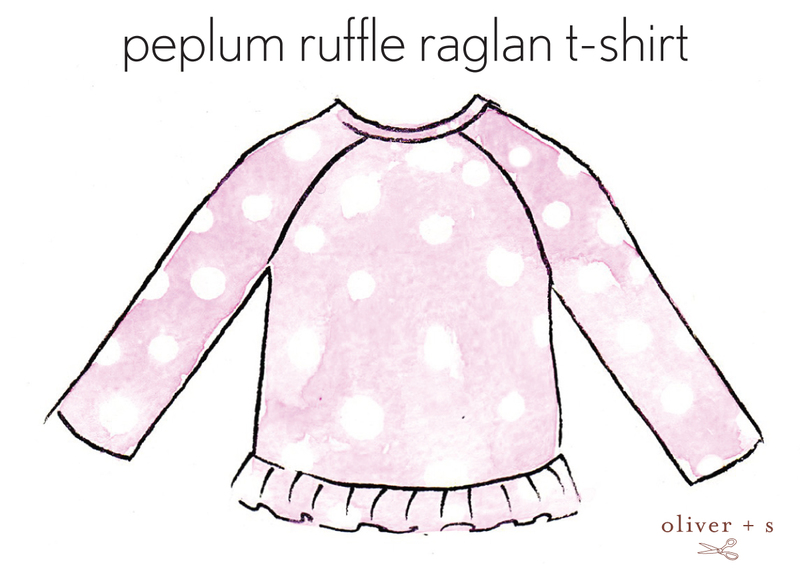 In general with most peplums, you want the top of the ruffle to start at or just above the waist. Look for the natural waist, which is that narrow spot just below the rib cage. (If you sing “I’m a Little Teapot” and tip to the side, the bendy spot on your side is your natural waist. This is especially helpful with kids who have little bellies.) But for shorter peplums that look more like a little ruffle at the hem, a boxy style is cute, and the top of the peplum can start just below the waistline. To make this customization, you’ll find the natural waist and mark the top of your peplum placement. Add 1/4″ – 1/2″ for seam allowance and cut the T-shirt at this level. For the ruffle itself, I like to make it about 175% the width of the T-shirt width, but anything between 150%-200% will look good. 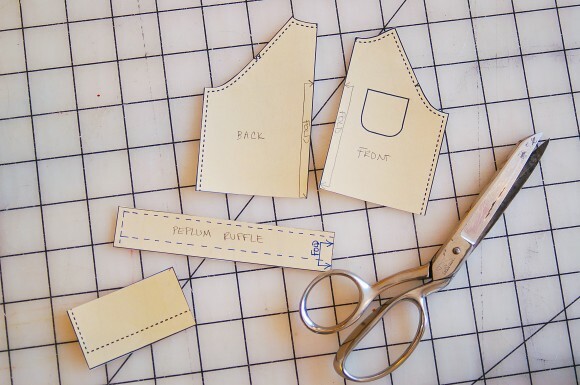 Add seam allowance and hem to the height of the ruffle, and add the ruffle (sewn into a tube with gathering stitches at the top edge) to the T-shirt after the side seams have been sewn. You can see in this mini pattern how I removed the bottom portion of the original T-shirt pattern and replaced it with a ruffle that’s about twice as wide as the original pattern piece. Cut two: one for front and one for back. You can also hem the ruffle before gathering it, since it’s much easier sew the hem when the fabric is still flat, before it’s all gathered up. And it would be really cute to try pleating the ruffle instead of gathering it. The pleats wouldn’t have to be perfectly even to be cute, so don’t get too worried about that. Anyone making this one? I’ll show you the peplum I made for S tomorrow when I explain how to change the pattern to make short sleeves. 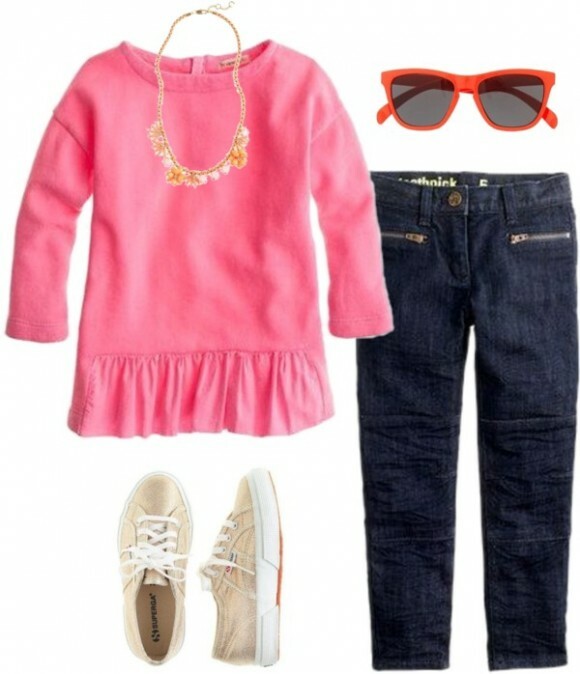 It’s funny that this is on here today as I’ve had an idea lately that I’d like to possibly customize a cute t-shirt by adding a peplum and make knee length shorts that are the same fabric as the peplum – haven’t done it yet though. I have purchased a lot of beautiful fabric so I need to get sewing! I love a peplum! I’ve got the pattern cut out and my fabric ready to cut, but I may just go with this look instead for starters. This may be a really dumb question, as I haven’t modified patterns much for fear of really messing something up. But, can someone tell me how you go about locating the natural waist on the pattern piece? I understand how to find it on my daughter’s body, but actually drawing a line on the pattern piece that represents that has me a bit confused. Do I measure down to her waist from her shoulder or arm pit or neck line? Again, I’m sorry if this is hugely obvious except to me! 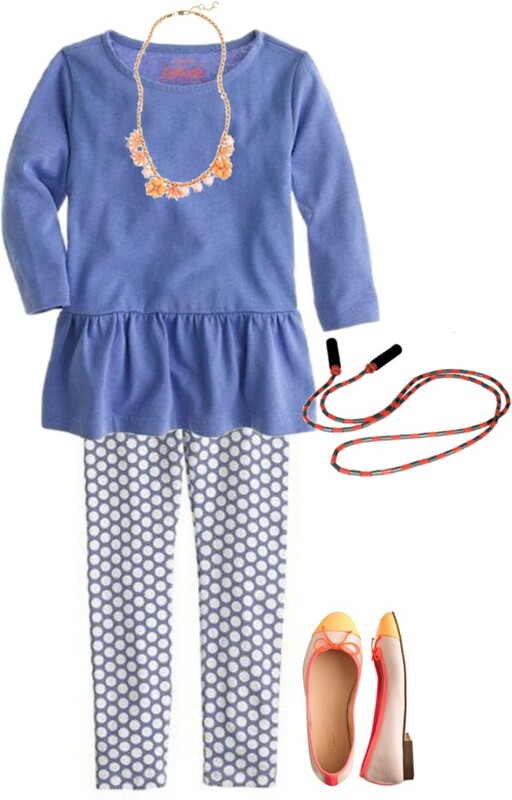 I so love the Oliver + S patterns and can’t wait to try some customizations! Carrie, if you hold the front pattern piece up to approximately match the underarm of something else your daughter is wearing, that will give you a general sense for the waist placement. I usually add an inch or two and mark the waist just before attaching the peplum. That way she can try it on and you can get a more accurate placement. And Tunce, the Sailboat Top is on its way! It will be released as a single pattern shortly.